Do you agree that there are nine "essential cookies" that "every home baker should know how to make"? I don't, because these people claim that you have to have an alcohol-based cookie in your repertoire. Not true. But do you think there are eight essential cookies? I'm not sure, but the eight non-alcoholic cookies mentioned in this article are definitely musts in my kitchen. Maybe you'll like the recipes the article links to, also. Most of them are the same recipes I always use, or pretty close. I'm going to try their chocolate chip cookie recipe, though, because it's completely different, and it looks completely delicious. Here's that recipe. And another picture of the cookies. 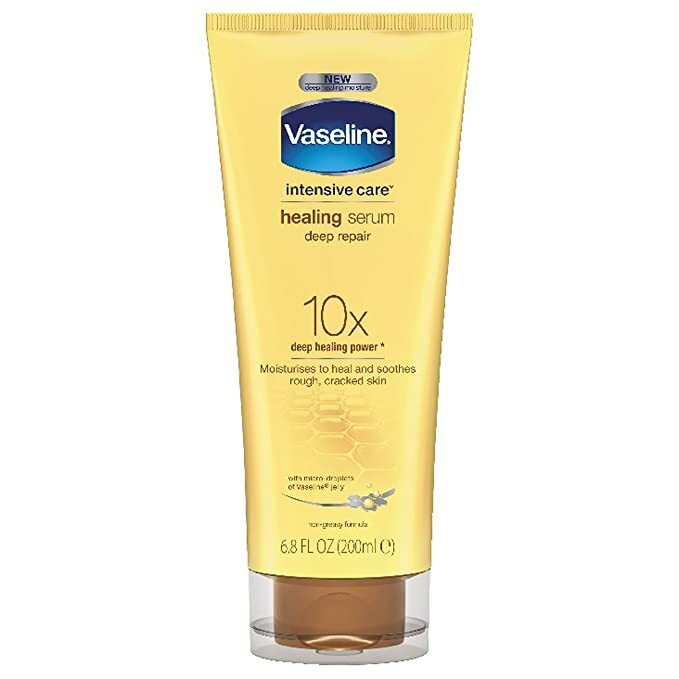 Hey, I'd check that out---and maybe you would, too, because, hey, don't we all have "dry winter skin" which needs moisturizing? But, thanks to me, you won't have to. Because I've read the article, and have decided that I'm going to be doing just fine, thank you very much, without paying $39.00 for "One Love Organics Daily Body Serum"---the least expensive item in this list of must-haves. And here's another hilarious note: One Note (get it, a note about One Note? Oh, never mind) also sells a "cult-y cleansing oil," for only $42.00. But I won't. You've seen these, too. If you'd like to send me some of your favorites, I'd love to read them. Just comment (below) or email me at [louwynn] at g mail dot com, because I actually, secretly, love reading these ads, even if (I promise you!) I never buy any of those things. Here's part of that scene from "The Glass Menagerie," the painful and depressing play we all had to watch, and maybe had to act in, during our high school years. Amirite? Amanda Yes. Oh—oh—oh. I went straight to your typing instructor and introduced myself as your mother. She didn’t even know who you were. Wingfield, she said? We don’t have any such scholar enrolled in this school. I assured her she did. I said my daughter Laura’s been coming to classes since early January. “Well I don’t know” she said, “unless you mean that terribly shy little girl who dropped out of school after a few days’ attendance?” No, I said, “I don’t mean that one. I mean my daughter, Laura, who’s been coming here every single day for the past six weeks! Oh, don’t do that, Laura!—Don’t play that Victrola! One thing that's weird about this scene is how easy it is to be the meanie. Another thing is how hard it is to fit in any other emotion for this horrible character, Amanda. Another thing is that this speech is one of three fairly long ones I'm trying to memorize. Also, this whole play is supposedly based on Tennessee Williams's own life, his own mother being Amanda, his own sister Laura. So I'm trying to feel sorry for this Amanda character now, but still get across her anger and her meanness toward her own daughter, toward her own pitiful and powerless self that she sees in her daughter. Second gripe for the day---"Giving Tuesday"
Just give me a break, okay? I should have written this yesterday, "Giving Tuesday"---I know that. But I didn't realize it was such a big deal until today, which is, what, "Already Gifted and Tired of it All and with Still 5 Weeks to go Until Christmas Wednesday"? So, I didn't check my g-mail account yesterday, so that's why I didn't see all these obnoxious messages from every group I've ever done business with, begging for MY MONEY to HELP THEM! Not even to help someone who actually needs help! But to help THEM---big companies that obviously don't need any more help from me---I've already helped them by buying their products or contributing to some cause they claim to represent. That's it, folks. I'm pushing the "Unsubscribe" button on all of you....on this "Gimme A Break Wednesday"! I still don't get it: a pie made of sugar pudding, with a bunch of nuts on top. Why does it taste so good? Well, duh, because of the sugar. And the pecans. We finally had a homemade pecan pie for Thanksgiving this year, thanks to Lisa. I don't know where she found the recipe, some online cooking site, but I've found this explanation of why the pecan pie really outshines the other traditional Thanksgiving pies: The Best Pie Is Pecan. 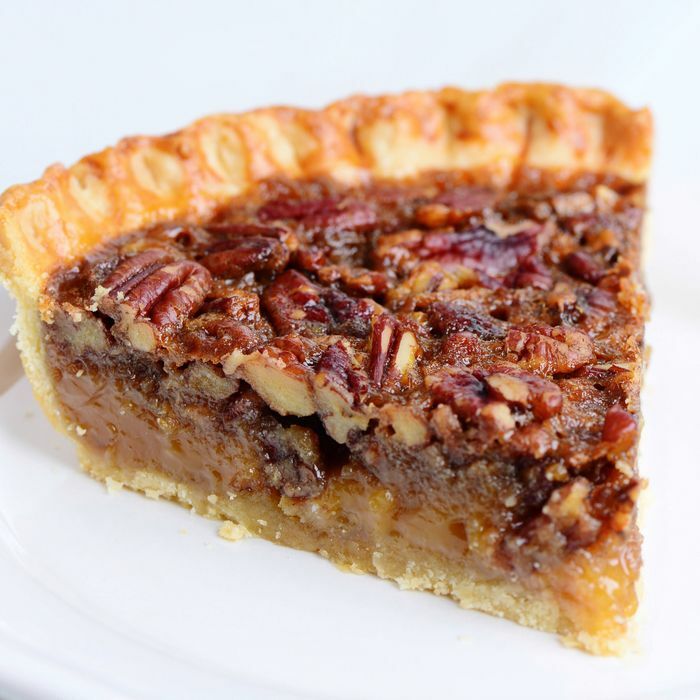 I especially like this line: "Pecan pie is all about the pecan life." And the explanation that follows: "It does not require a scoop of ice cream, or a dollop of whipped cream, or, God forbid, something like a slice of cheddar (another knock against apple pie). Pecan pie is a pie that stands on its own. It has the gooeyness of a candy bar, the crunchy texture and warm flavor of toasted nuts, and that flaky, buttery crust." So, there you have it. I'll find a pecan pie recipe to add here, sometime soon, very soon. "I've got it! By golly, I've got it!" I shouted to myself this morning---and not even to a reflection of myself, but to my own self, sitting here at this desk in front of this monitor and with my hands on the keyboard. Which makes me doubly insane, right? Because if you could see me practicing my lines [Amanda, in that terrible scene (Amanda berating Laura for everything she does wrong, including existing) in that worthless play ("The Glass Menagerie") by a mediocre, life-stealing, and barely talented playwright (Tennessee Williams), that would be crazy enough. The insane revelation: If I write on this blog the things that upset me (is that too strong a word? I don't think so) every day, I'll get this angst (again, too strong? I don't think so) out of my system, so the rest of my day will go more smoothly. A great theory, which we'll be testing in the next couple of days (because daylight, or any kind of light, cast on a theory, tends to smooth out the wrinkles and clarify the facts that support the theory, or don't support the theory, thus subjecting it to the ultimate proof). Today's rant---because, let's face it, it's not just a "quarrel," since I'm not crazy enough, yet, to think that an interior monologue counts as any kind of discourse, not even a quarrel---has to do with, you guessed it, the misuse and misspelling of words that, IMHO, deserve better. First, don't we all know that the FOREWORD in a book is a FOREWORD---a WORD BEFORE, not a "forward"? No, clearly we did not know that. But now we do. Similarly, a WORD AFTER is called an AFTERWORD. Does that help? Secondly, didn't the rest of you-all have a fourth-grade teacher, possibly named Mrs. Lincoln, who drummed into you the difference between "principle" and "principal"? No, you didn't? Then let me be her substitute teacher for the day. And, since Mrs. Lincoln herself would be using the internet if she were alive today, I'll do another of her tricks: I'll let YOU, Dear Reader, look up the difference. Here's a great resource, the Oxford Dictionaries blog. Maybe I'll be back tomorrow. As my beloved Aunt Effie used to say, "Expect me when you see me."